Congratulations are in order for Barry Knox, bassist of Parmalee, who just tied the knot! Knox and his longtime girlfriend Kristin “KJ” Joyner wed on Saturday (Oct. 21) at Secrets Wild Orchid in Montego Bay, Jamaica. The couple exchanged vows on the beach surrounded by family and friends as well as Knox’s bandmates. 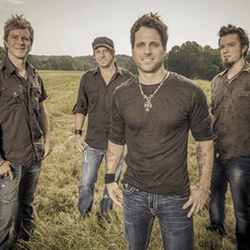 Parmalee will soon hit the road on their HOTDAMALAMA Tour, launching Nov. 3 in Jim Thorpe, PA.